Sometimes you come across a spa when you least expect it. 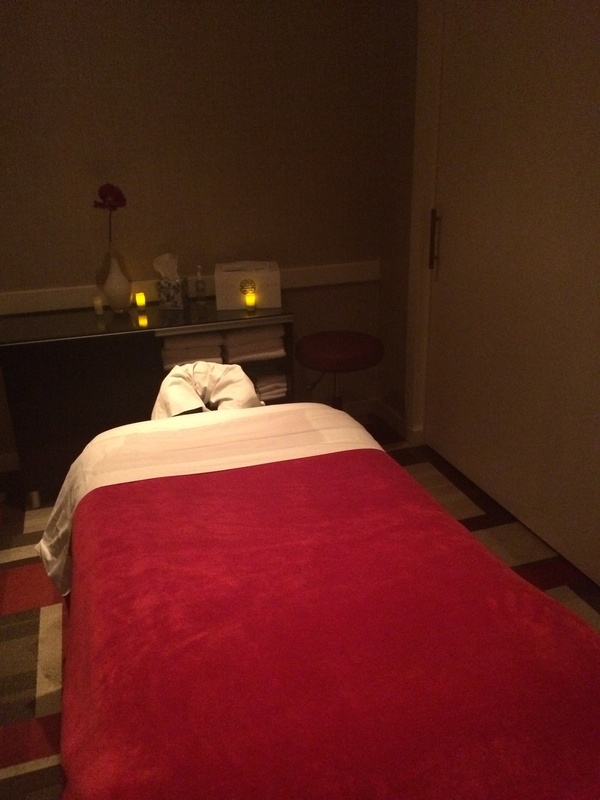 That was the case with the spa at the Renaissance Atlanta Waverly Hotel and Convention Center. Last summer, I was attending the big SCW Mania fitness professional conference, which is held annually in the hotel, and noticed the spa tucked away in a corner. I picked up one of the brochures and made a mental note to add it to the to-try list. It was a nice way to wrap up a busy Thursday at my day job. I headed up to Smyrna and was able to easily find a parking spot (for free!) in the massive lot around the hotel. After checking in, I went and squeezed in a workout in the clean and well-lit fitness center where you’ll find plenty of cardio equipment and a separate room filled with weight/resistance-training options. Following my workout, I changed into my robe and slippers and waited in the locker room lounge, which included a nice sofa and flat screen TV. Monica, my therapist, came and retrieved me from the lounge right on time for my 50-minute therapeutic massage. Monica gave me a great massage. I felt relaxed and ready for a good night’s sleep when she returned me to the locker room with a cup of water to enjoy. So, was it a “fit” or “miss?” Well, this one is tricky. The massage was good. The customer service was good. And the facilities were nice. If I were staying at the hotel and needed a massage, I would say “fit.” That would also probably be the case if I lived in Smyrna. But, as an Atlanta resident, who can choose to visit Spa Waverly or spa options closer to home like Bliss and the Four Seasons — which do an excellent job of providing a spa experience with all the bells and whistles, such as snacks and champagne — I’m probably more likely to opt for Bliss or the Four Seasons. With that said, the massage was a “fit,” especially given it is $90 vs. the $160 you’d pay for a deep tissue massage at the Four Seasons. But the location and experience weren’t as good of a “fit” as some of the other options that are available to me.